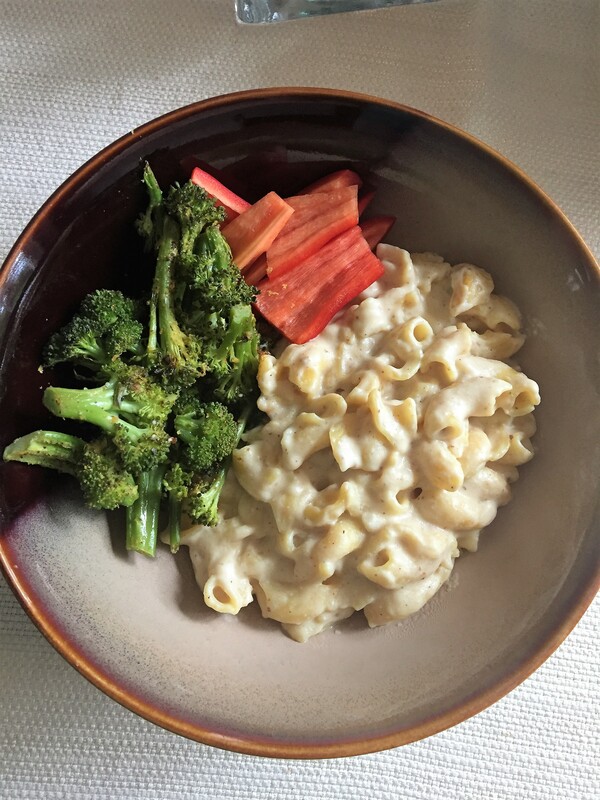 Veggie Product Reviews – We are a group of vegans who love to try new cruelty-free products and write reviews about them! We are a group of vegans who love to try new cruelty-free products and write reviews about them! 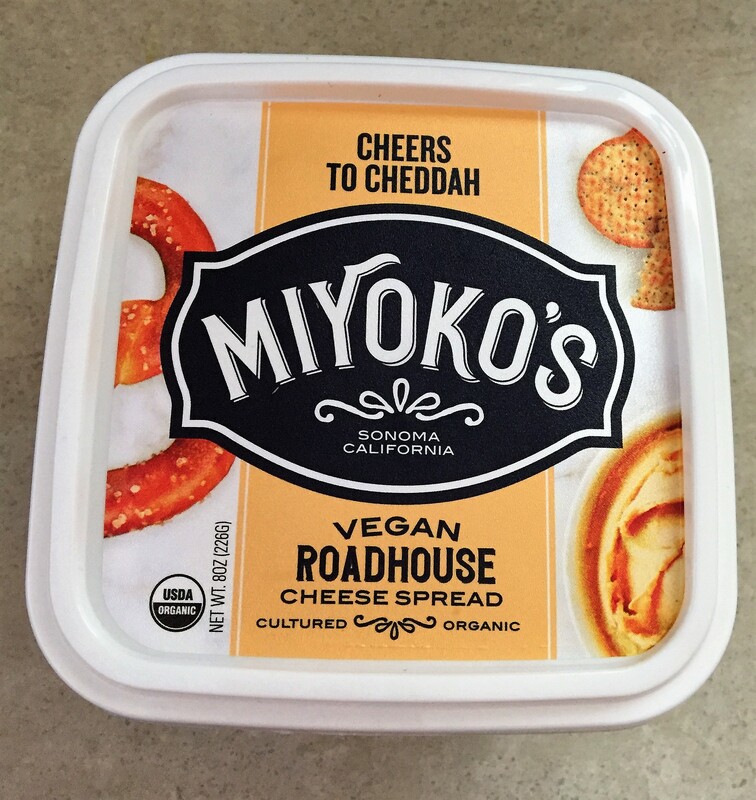 I was recently introduced to Miomojo through Instagram and have been eyeing their products. They make stylish bags from recycled bottles and other ethical and eco-friendly materials. I was able to see several bags in-person and the Urban backpack caught my eye. 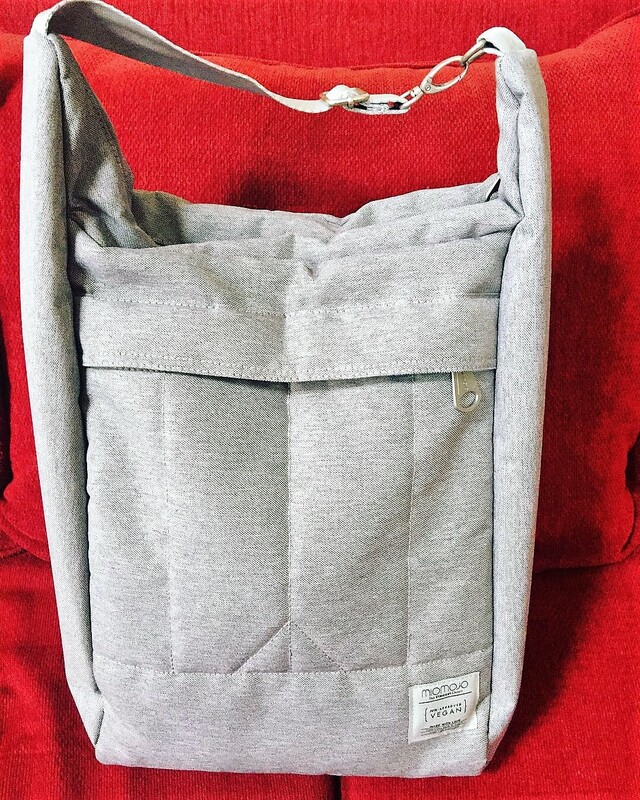 It has the option for hand carry and to be a backpack. It contains pockets for a laptop, drinks, and whatever else is needed to complete your day, while not being too bulky. The style and color makes this bag gender neutral, appealing to a wide audience. 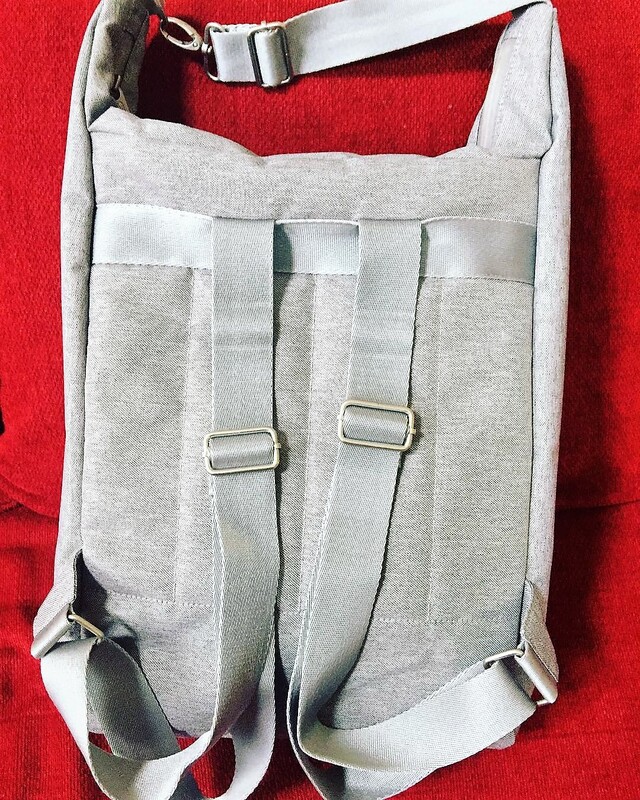 It seems sturdy and feels to be a high quality bag. I see this bag lasting me for years. It is a huge upgrade from the college backpack I was carrying before. 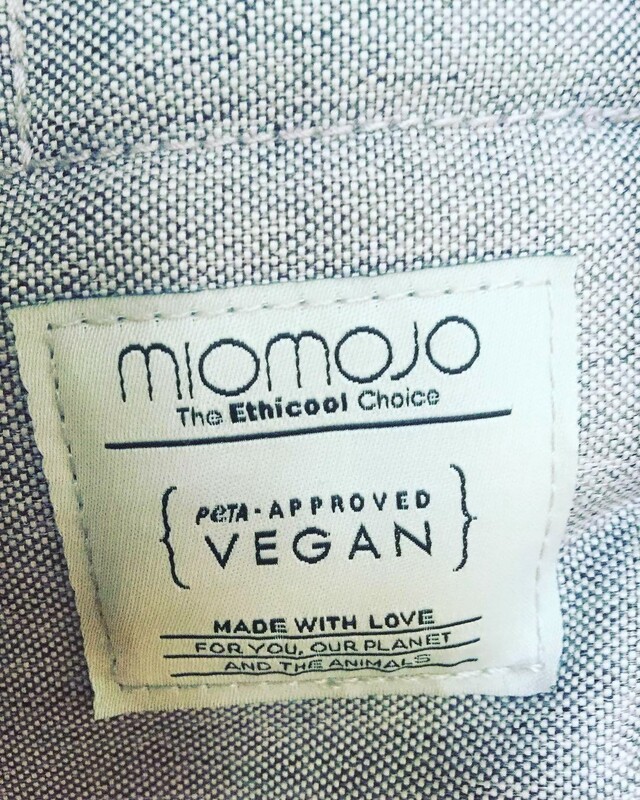 Miomojo is an all vegan company. For every purchase, 10% goes directly to helping animals. Some of product their lines include R-PET, polyester that is made out of recycled plastic water bottles. This reduces their dependence on petroleum as a raw material source and reuses materials that would otherwise sit in a landfill. They are also working to replace some of their other materials to be recycled, such as the polyester they use. The bags are stylish and appealing. They have several lines of bags for all genders. They have a variety of bags for different needs: laptops, tablets, weekend bags, and more. Their prices are reasonable. The Urban Backpack is about $68. I expect to pay around this price for a good quality bag. Some vegan companies charge a lot more for bags to make them unattainable for many of us. This bag is worth saving up for, if you can. This company is outside of the United States. That might negate some of the eco-friendliness of this bag. It is almost Halloween and that means C-A-N-D-Y! Even vegans need candy. Each year I search for vegan candy that will allow my son to participate in the fun of Halloween. This often includes a purchase from No Whey Chocolate. They sell candy online and in select retailers across the country. Their products are vegan and free of most common allergens. 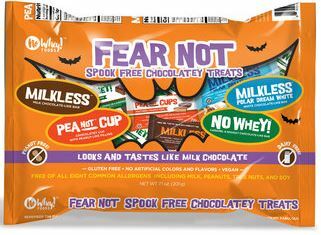 This year, I was excited to see the new Fear Not Candy bags. I ordered one for us, along with a few other treats. This bag did not disappoint. Vegan milk chocolate! There are not too many companies that make, or make well, milk chocolate that is vegan. They have imitations of Reeses, Snickers, and Hershey’s without the cruelty. It has been a decade since I have had any of these brand names, but I think this chocolate tastes better! And I don’t feel any guilt. They taste delicious! I felt like I was a kid again tasting these with my son. They are vegan, gluten free, tree nut free, soy free, and peanut free. They are also Kosher. They are small and individually wrapped like other popular candies. This company does a good job creating candy for each season. Halloween, Easter, Christmas, etc. They are a regular stop for me before any major holiday. I can only find these online making them less environmentally friendly. They are $8.95 for a pack of 10, which is not bad, but when you calculate the shipping, it is much more. I also had to buy a cold pack as I was concerned that the chocolate would melt. They are not ideal to hand out for Halloween as they only come in packs of 10. I wish there was an option for a larger pack. Recently, we were contacted by the owner of Love Bar to ask us to provide an honest review of their bars. 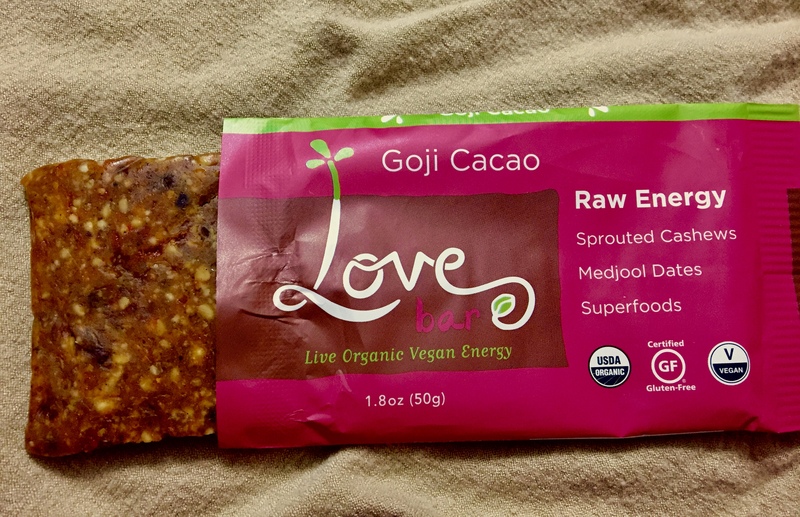 * I was excited about this review as I have enjoyed their bars for years. I eagerly said yes! They sent me one of each of the flavors to try. I am a creature of habit and have usually purchased the same two flavors, so this was a real treat to get to try the third flavor. They quickly arrived and I got to work sampling. The kiddo tried them as well and was also a huge fan. I will remember this for when we are out and need a quick and healthy snack. The bars are absolutely delicious! I cannot even pick a favorite between the three. They managed to use the tastiest combination of ingredients in each bar. 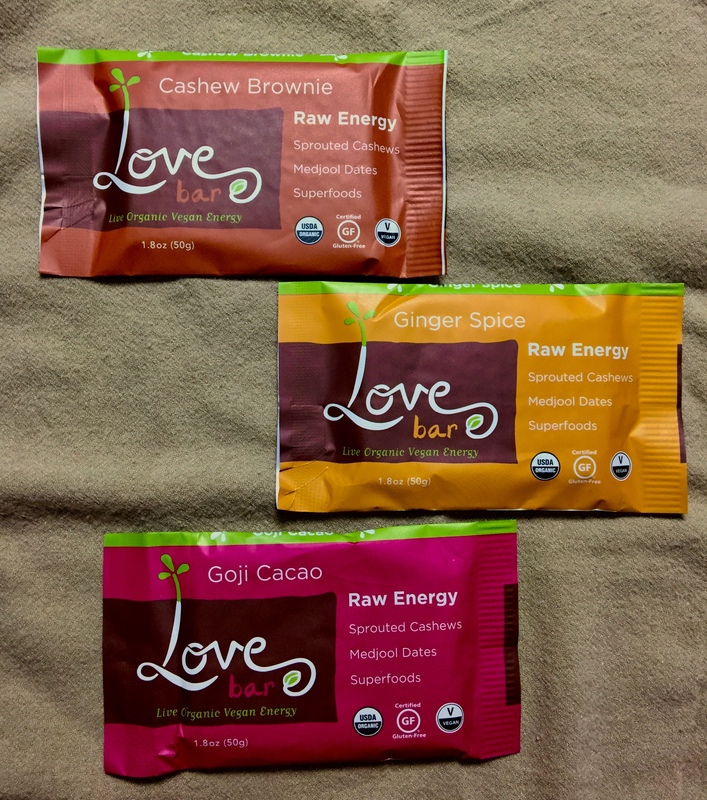 I am a sucker for brownies, ginger, and goji berries! Each bar only has a handful of ingredients that work well together and are common ingredients. You won’t find anything processed or fake in these bars. They are real food. They do not contain any processed fillers or additives. Their nutritional content is important to me. It offers protein, fiber, healthy fat, and iron. They are certified vegan and gluten free! They are made in North Carolina. I live in NC, so I can feel confident in supporting a local, vegan business. I can easily find these bars locally. Do not worry if you are not located in North Carolina, you can check out their store locator and online shop. They have free shipping, if you buy online. That is a great deal! They are about $3.49 a bar, online. That is a bit on the pricey side, but they are worth it because of the pure, unprocessed ingredients. *Please note that we are happy to try vegan products for an honest review. If you are interested, please contact us. The kind folks at JustPea contacted us recently and asked if we would review their product. * I personally am not a fan of most protein powders because I don’t like the taste of stevia. When I realized this product did not contain stevia, I was immediately interested in trying it. It is made from a single ingredient (peas) and contains no GMO’s. Overall this product has proven to be a winner in my book. I didn’t even notice it was in my smoothie. Really. The first time I used it, I only used half a scoop because I was worried it might make my smoothie taste bad. It didn’t. The next time I used it, I used the full scoop and we still didn’t even notice it was in there. It really let the flavors that I put in my smoothies shine. There are 20 grams of protein in one scoop. That’s a lot of protein! The bag is a large one. There are 30 scoops in a bag. I personally don’t feel the need for 20 grams of protein in my smoothie, so I will continue to use half a scoop to get 10 grams of protein and make it last longer. NO STEVIA in this product!!! Vegan, gluten-free, and fully sourced in the US. It’s priced on par with comparable protein powders. The only suggestion I have to possibly improve the product in the future is to make it fully organic. It IS already non-GMO, so that is a great start. If you’re looking for a protein boost for your smoothies that won’t affect the taste, go ahead and give this a try. 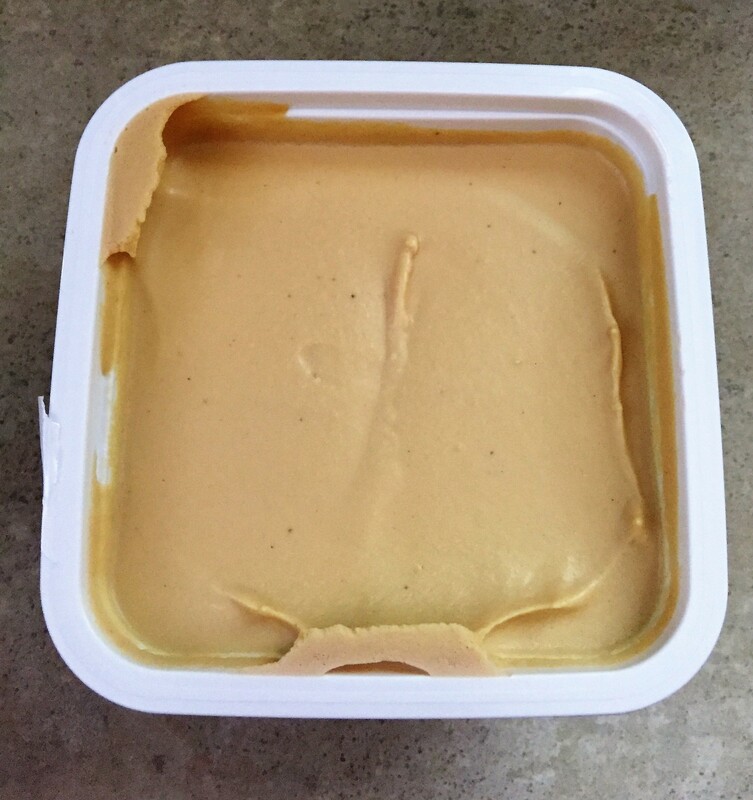 When I plan to review a product, it is usually one that I have had several times (or bites) and feel that it is worthy of a blog post. I often come across mediocre food and move on from it forgetting to do a review. Every so often, I come across something so terrible that I feel like I cannot let a single person waste their hard earned money to buy said product. That is where we are today. 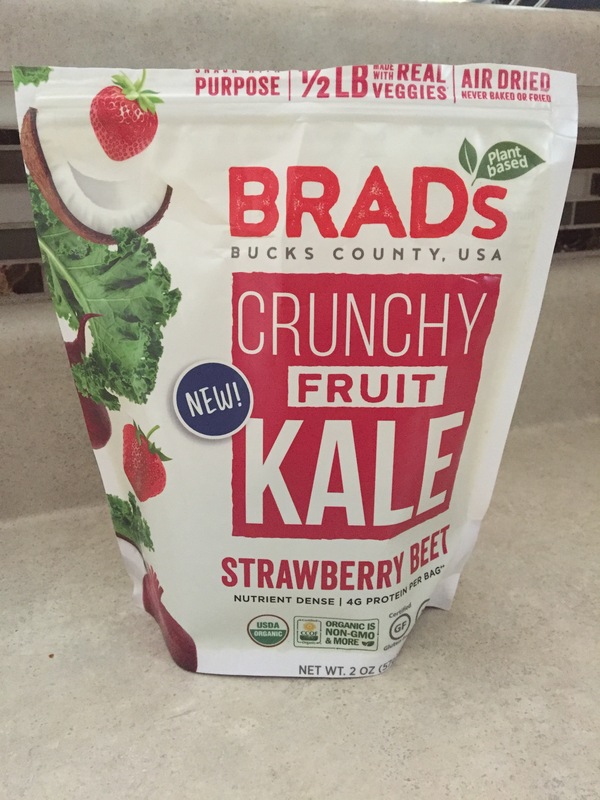 I am a kale chip fan, even of this brand, but the product at hand today was so disgusting. I plan to come back and review one of their delicious flavors, but you must be informed of this particular flavor and to stay away. Both Julie and I gagged at the smell and taste of this product. We asked two other people to try it who also felt the same way. Then we asked my toddler to give it a try. He actually ate a few and then said he was done. I think he wanted to like them, but just could not. The compost pile is currently eating this snack. 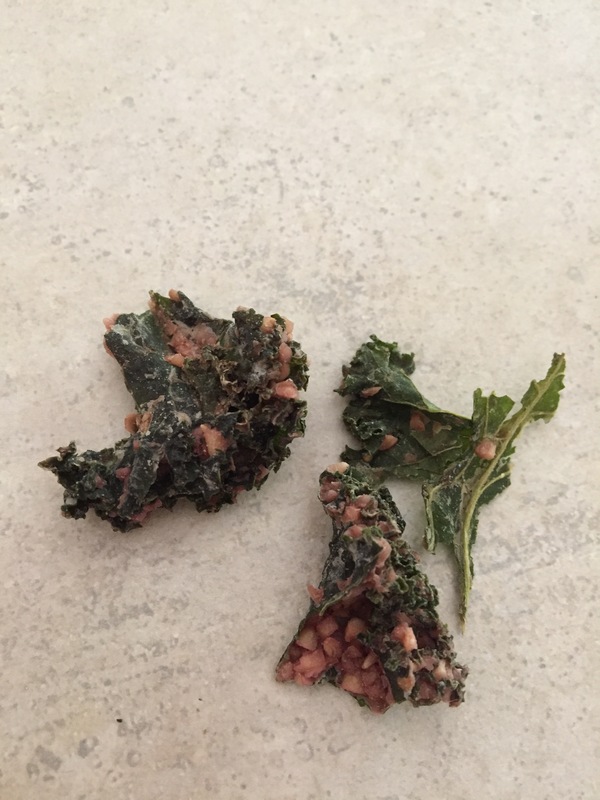 You are probably wondering how kale chips could be this bad. Please read on for more information. They are healthy. Sure, they taste horrible, but at least they are good for you. And they are gluten free. Maybe this is why people think vegan, gluten free is not palatable. They smelled putrid. The smell was something like a fruity, earthy, death. I accidentally got a whiff before I took a bite. Big mistake. The taste is…indescribable. I like beets and I like strawberries and I’ve eaten these things together and liked them. I don’t understand why they tasted so bad in this kale chip. They have oats. Normally, that would not be such a bad thing, but I think that contributed to the rank flavor. Whatever price was paid, was too much. Julie, purchased these and I know she thinks that they were not money well spent. These are being sold with other kale chips. These give kale chips a bad name. If I had never had, or made, kale chips and picked these up I would have thought all kale chips were bad. Great packaging design with an adorable cow. I like that the company advertises boldly that it is a vegan protein shake. They have an offering of two common flavors: vanilla and chocolate. Nothing too weird or fancy. The products both have a delicious smell that is decedent and inciting. They list a good amino acid profile on the container. Many of the other vegan shakes/meal replacements either don’t contain amino acids or haven’t taken the time to label them on the containers. This is important to some people. The more nutritional information, the better. The serving amount is one scoop, whereas many other vegan shakes require two or more scoops. 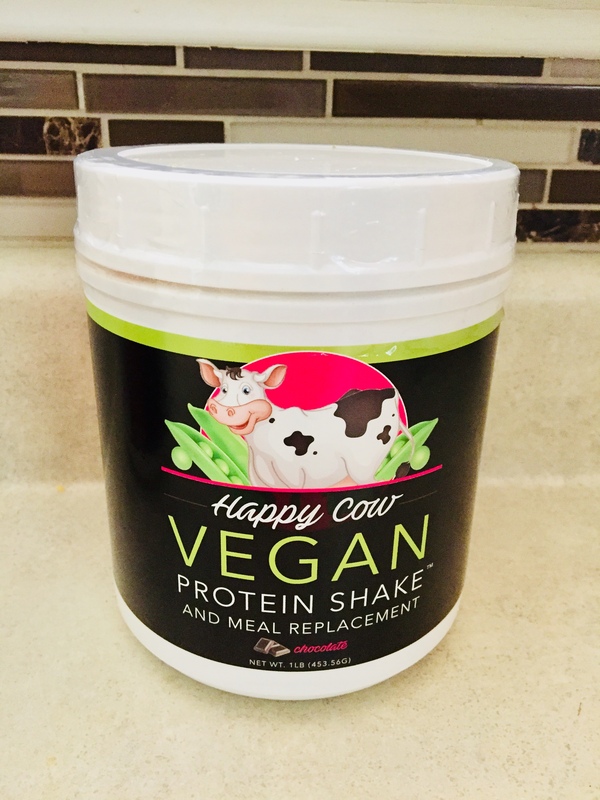 I have not compared pricing very closely between all other protein powders, but this seems to be on par (or a little cheaper) with the price of other vegan brands. Currently, it is listed for $25 on Amazon. I wasn’t a fan of this product on its own (mixed with water only). Not many, if any, protein shakes taste good on their own. They all seem to have to be mixed with a vegan milk and other ingredients like fruits, vegetables, nuts and/or seeds. We took a little hiatus from writing reviews. During that time, we sampled a lot of products! We have quite a few products that we would like to share with you, so stay tuned! When I think of Italian food, I remember back to my childhood and the shaker of fresh grated Parmesan that sat on the table for every meal. My mom and grandma used to grate it in the food processor and put it out at almost every meal. It was like ketchup, we put it on everything. 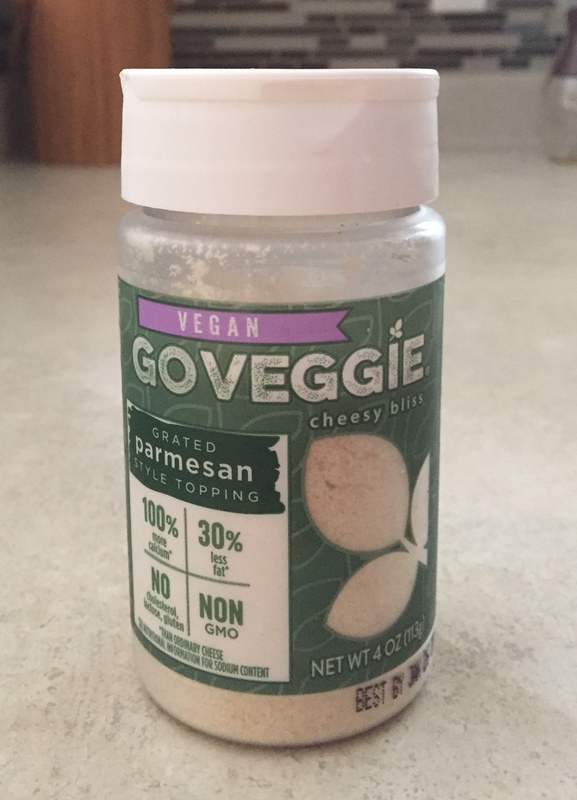 Since going vegan, I have been on the search for a vegan grated Parmesan that tastes like the dairy version from my childhood. The product from Go Veggie, is not this product. I was sorely disappointed. We believe in honest reviews here, so I am not holding back in my critique of this product. It is a vegan cheese product. 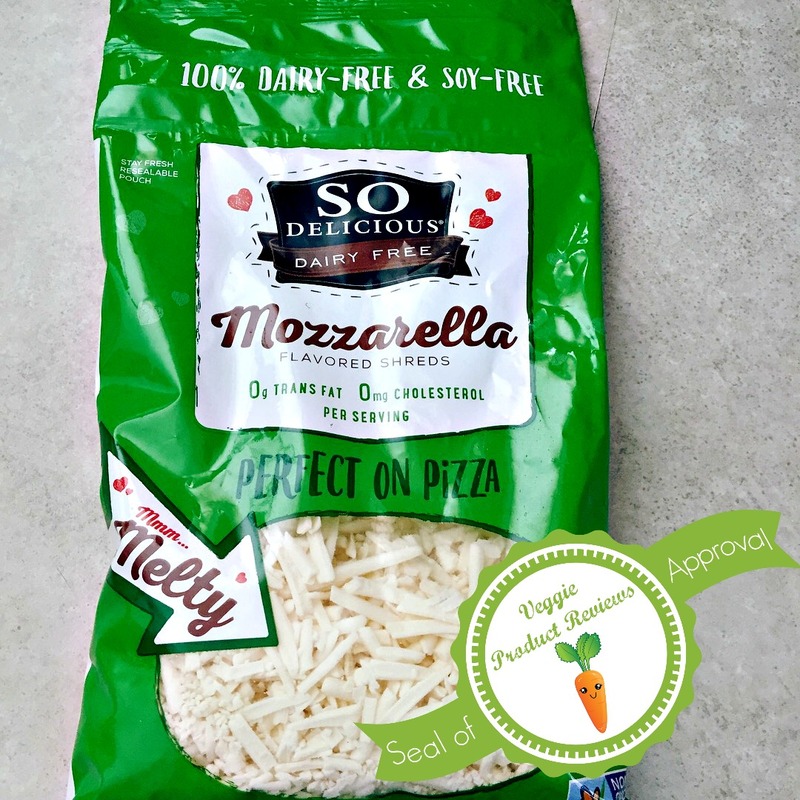 Unlike other vegan cheese products, this has protein and calcium. While most vegans know we don’t need the extra protein and calcium, having them in products helps win over omnivores. This product tastes gross! I could barely stomach the taste. It doesn’t come close to the fresh Parmesan taste or from what I remember from the store bought shaker container. This product smelled like rotten feet. One sniff made me gag. I had to plug my nose when I sprinkled it on my food. This product is getting a D for this con alone. Food should not make me gag by the smell. This is not something I’d keep at my table or serve to anyone. No one in my family liked it. I used to watch my mom drink Bailey’s with family and sneak a sip here and there. When I was old enough to drink, I indulged in the original Baileys a couple of times on its own or in coffee drinks. I only drink a couple of times a year, so it was an occasional treat with friends. Then I went vegan and Baileys was off the table. I had forgotten about it until I read stirrings on the internet of a vegan version of Baileys called Almande. To see that it was also labeled gluten free made my heart do a happy dance. As soon as it was available at my local ABC store, I bought a bottle. I am still on my first bottle, but it has been enjoyed in hot chocolate, coffee, and plain. I imagine this bottle will last a while, but I like having it around for an occasional treat by myself, with family, or friends. It is vegan and gluten free. It says so on the bottle! It is becoming more widely available where alcohol is sold. The flavor is sweet and smooth like the original. The bottle looks very different from the original, making it easy to determine if you are drinking the vegan version. The price seemed in line with other specialty liqueurs. 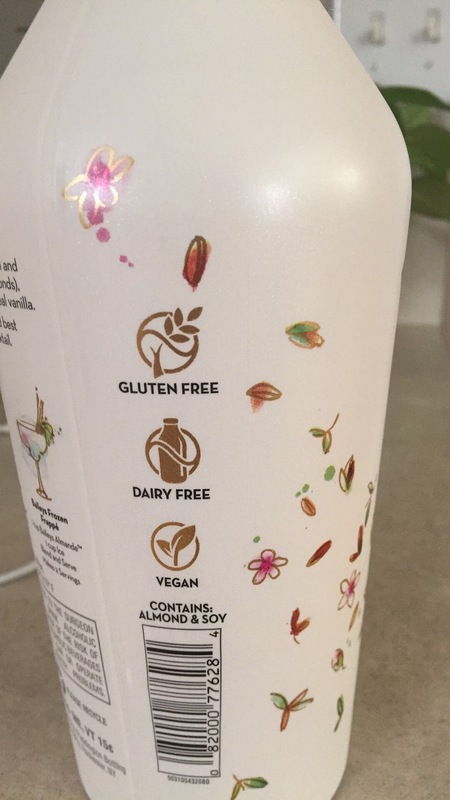 Having this option allows for vegans to have more specialty drink options. The bottle does not have a “use by” or “best by” date. I have had my bottle for a while and put it in the refrigerator, but I do not know how long I can continue to enjoy it. It would be helpful if they put the ingredients on the bottle. Some of us like to know what we are consuming. I read every label, so this was hard for me to trust that the ingredients were fine for me to consume. The only information the bottle gives is that it contains almond and soy ingredients.